Add some wanton, rubber-suit destruction to your holiday celebrations as El Rey Network trots out its third annual “Kaiju Christmas” marathon, bringing you over 96 hours of roaring action featuring the one and only giant Japanese atomic dinosaur, Godzilla. 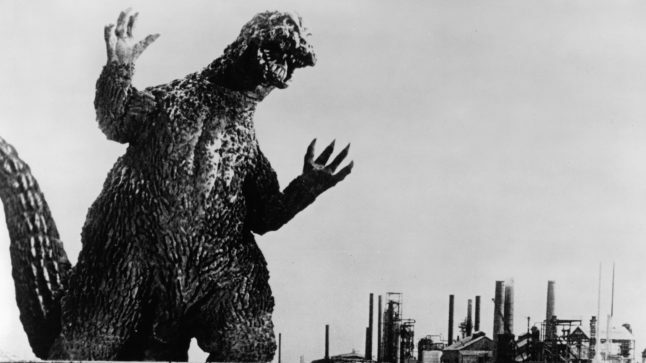 The marathon crashes into your home with the original film that started it all, the original 1954 Japanese flick Gojira (the U.S. cut, Godzilla: King of the Monsters will also screen) on Friday, December 23rd at 6AM ET/PT and culminates with Godzilla Raids Again (aka Gigantis The Fire Monster) on Monday, December 26th at 6AM ET/PT. Check out the full schedule of Godzilla flicks below! To find El Rey Network in your area check out the channel finder here. And check out the wild trailer for the marathon below!